Further, they have decided to hold a silent protest march from the City Civil Court complex to Raj Bhavan through K.R. Circle. 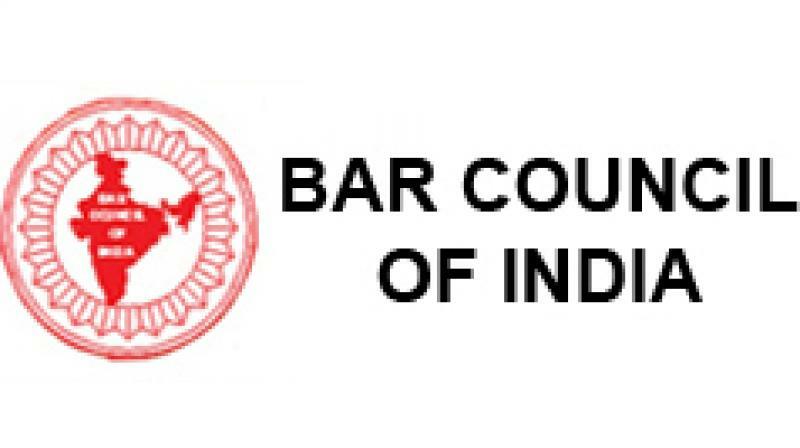 Bengaluru: Following the Bar Council of India calling for a nationwide lawyers' agitation, the Advocates’ Association Bangalore (AAB) has resolved to abstain from all court proceedings on Tuesday. Further, they have decided to hold a silent protest march from the City Civil Court complex to Raj Bhavan through K.R. Circle. After reaching Raj Bhavan, AAB representatives will submit their list of demands to the Governor. The protest march is part of a nationwide protest which is expected to see participation of 1.7 million lawyers. The demands include better infrastructural at courts across the country and a budgetary allocation of Rs 5,000 crore for financial protection, stipend and insurance cover for lawyers and their families. The BCI had written to Prime Minister Narendra Modi, raising ten demands. The High Court has ordered a notice to Gokak MLA Ramesh Jarkiholi following a habeas corpus petition filed before the High Court. Following inaction over his police complaint to trace missing Congress MLA Mahesh Kumtalli from Athani, a lawyer had filed the habeas corpus petition. He has sought directions to the police to investigate his complaint and produce the missing MLA before the court. He had prayed that Mr Ramesh Jarkiholi be interrogated to secure the presence of Athani MLA. The lawyer, Pramod Dayanand Hiremani, had filed the complaint expressing the suspicion that the MLA could have been kidnapped. The habeas corpus is yet to come up for hearing.